Re: [Hanford] Digest Number 1578 -- Mother Jones should be ashamed. 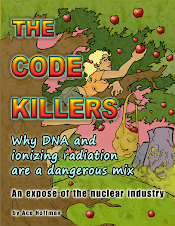 Fact: Aside from the French solution to the waste problem (grind it up and dump it in the sea), and their use of their armed forces and international police forces to disrupt the peaceful protest and right to assemble of pro-DNA activists, France is also the leader in exporting nuclear industrial espionage -- to America. France, through their government-owned corporation AREVA, has purchased American nuclear manufacturer Westinghouse, just so they (AREVA) can claim to be "America's energy company" in endlessly-repeated obnoxious ads on CNN. A lie repeated often enough, as Lewis clearly knows, starts to sound like the truth to the uninformed.